Hendanes lighthouse Oc WRG 8s. Hendanes lighthouse was first lit on 25th November 1914, to the joy of many fishermen and the steadily increasing number of factories in the fishing industry in Vågsøy and Måløy. The nearest neighbouring lighthouse is Kråkenes lighthouse, established 8 years earlier. Hendanes lighthouse is spectacularly situated 45 m up on a hillside. To get there it was necessary to build a steep 675 m long path. 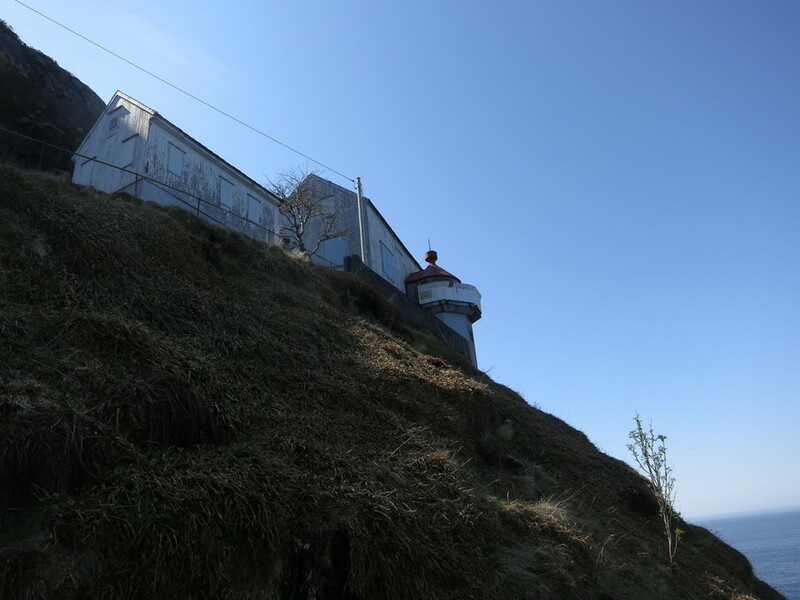 The light station consisted of a main building, an outhouse, a boathouse and oil storage shed. A 2nd order Fresnel lens with an incandescent lamp provided a relatively strong illumination. The lantern and lens were transferred from Lille Torungen lighthouse, which was shut down the same year. Towards the end of World War II the lighthouse station was attacked by allied planes. The keeper, his wife and one of their sons were injured. 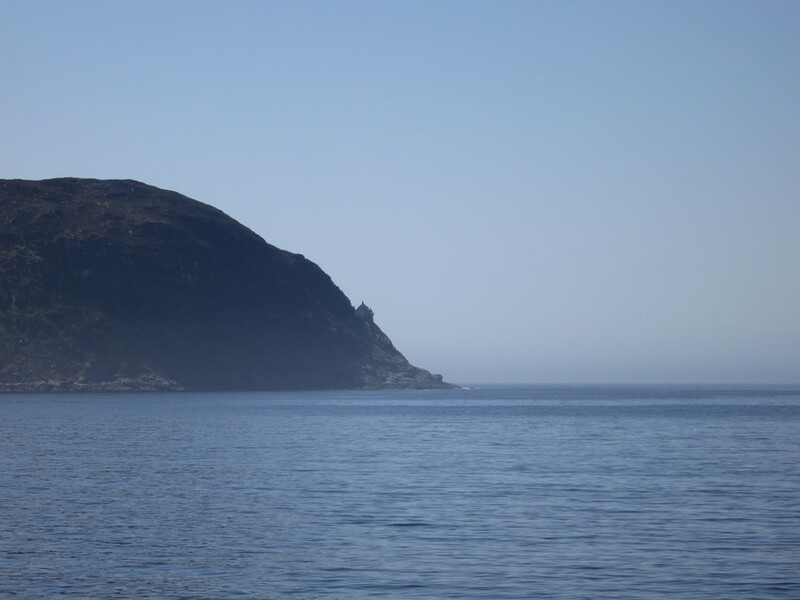 The son was seriously hurt and had to be carried down the steep hillside to the sea. From there he was transported by boat to Måløy and from there by rescue lifeboat to hospital in Florø further down the coast. 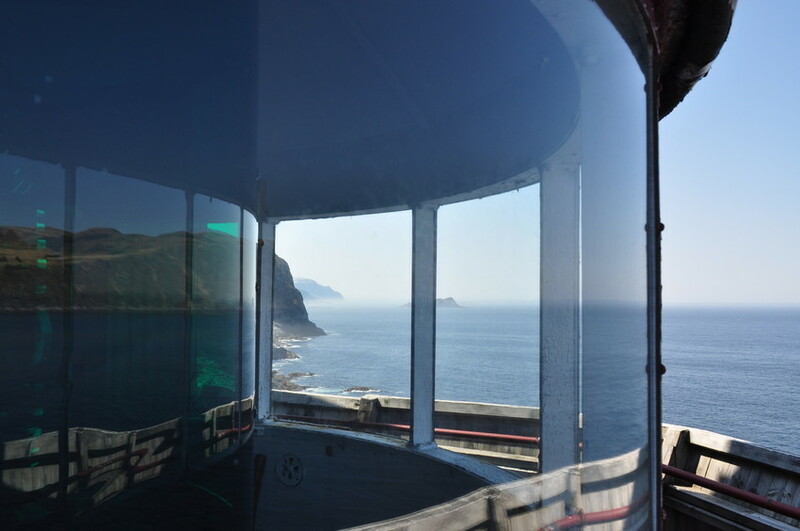 In 1952 the station was de-manned and the lighthouse was replaced by a major light with a Dalen gas lantern. Three years later electricity was installed in 1955 the major light was electrified with a diesel aggregator in reserve. In 1963 a radio beacon was set up here. In the 1980s responsibility for the lighthouse building was given to a local fishermen’s association. Unfortunately the lighthouse and the path are both in disrepair and rarely in use. NB! Visits to the lighthouse must be undertaken at one’s own risk.